Very little has been published about the changes cloud promotes and the impact it generates beyond those issues strictly related to technology’s infrastructure: this article focuses on its impact on the geography of innovation. Large global IT players tell the market, more or less explicitly, a thesis that goes something like "global innovations belong to global companies, while local companies should dedicate themselves to local innovation." In fact, if we take a look at the pre-cloud Information Technology era, this point of view prevailed widely: large global companies dedicated themselves to generate innovations to be used on a global scale, while creating innovations that were intended to serve smaller markets were in charge of small and medium-sized local companies. This 'rule' is confirmed when we analyze the technology offered by big players in various product categories: operating systems, database managers and even ERP systems are designed by them for use on a global scale. Then, adapting each of these products to local needs is left by global players to what they have baptized as ecosystems (and is also known as channels or partner networks). The logic behind this tacit agreement is that large global companies need large markets, while small and medium companies could be satisfied with smaller markets. Over time, large global companies have transferred this logic to put their grip on market segments that grew to be large enough: antivirus, browsers and even cloud computing weren’t offers belonging to large IT companies when first introduced as technical innovations: its creators, however, lacked the means to promote their innovations on a global scale. The 'great cloud' we have today, also called hypercloud, changed the 'rule of the game': when a small company, regardless of its location, develops innovative technology, it can reach a large number of users located anywhere on our planet. For example, tracing industrialized pieces of meat from the moment cows are slaughtered until they reach the shelf of a supermarket near to you (including monitoring its storage temperature all the time), controlling car parking lots and remote patient monitoring are all applications that, in the traditional model, have not been among the interests of global companies. However, in the same way that the cloud computing environment opens up market potential for small and medium-sized companies to sell their innovations globally, global companies now also can reach out to new and smaller market segments at lower costs. Hence, we’ll see a further intensification of competition among them: cloud computing does not only break down geographic boundaries, but knocks down market segment penetration rules depending on their size. It is therefore necessary that all innovators, especially smaller ones, stay tuned to the global potential of their development (focusing not only their local market). At the same time we have to expect big global companies moving into market segments they have ignored until now. 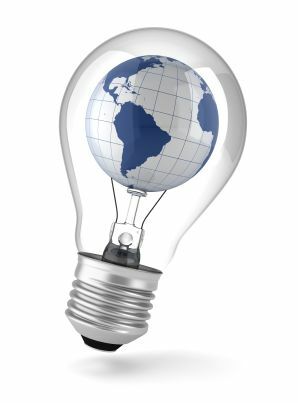 Globalization of innovation recrudescing is a fact that must be taken into account by everyone responsible for planning creating and adopting innovative IT products, as well as by policy-makers worldwide.